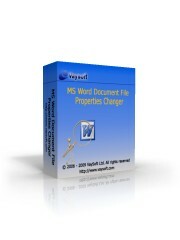 MS Word Document File Properties Changer is an application that will help you to view and change the Microsoft Office Word document file properties such as summary information, file date-time stamps and file attributes. 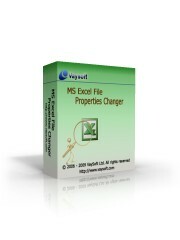 MS Excel File Properties Changer is an application that will help you to view and change the Microsoft Office Excel xls and xlsx file properties such as summary information, file date-time stamps and file attributes. 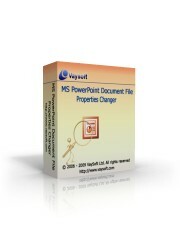 MS PowerPoint File Properties Changer is an application that will help you to view and change the Microsoft Office PowerPoint ppt, pptx, pps and ppsm file properties such as summary information, file date-time stamps and file attributes. It is an application that will help you to convert PPT file to professional EXE file. The EXE file can be copied to any computer and will run on Windows 2000 (SP4 or newer), XP (SP1 or newer), 2003 Server, or Vista without running any additional program. It is an application that will help you to convert PPTX file to professional EXE file. The EXE file can be copied to any computer and will run on Windows 7; Windows Server 2003 R2 (32-Bit x86); Windows Server 2003 R2 x64 editions; Windows Server 2008; Windows Vista Service Pack 1; Windows Vista Service Pack 2; Windows XP Service Pack 3. It is an application that will help you to convert PPTX file to strongly protected sideshow EXE files. PPTX to Screensaver Converter is an application that will help you to convert 2007 and PowerPoint 2010,PowerPoint 2013 PPTX and PPSX files to SCR files. It is an application that will help you to convert PPT file to professional EXE file. It can also embed special fonts that PowerPoint can not embed. The EXE file can be copied to any computerand protect your EXE file from editing, copying or printing. It can provide the registration authority function for your presentation, your presentation can be sell and read limited. PowerPoint Slide Show to Flash Converter is a tool to convert PowerPoint image slide show to Flash the world's most popular platform independent format. By u sing it, your presentations can be played on Windows, Linux, Macintosh and even Hand held PCs so that you will not lose any opportunities. The converted Flash file is smaller, secure, and in a streaming media format that's ideal for posting presentations to websites, intranets or for creating self-running CD-ROMs. VaySoft Word to Converter is an application that will help you convert Word file to EXE well proected file. 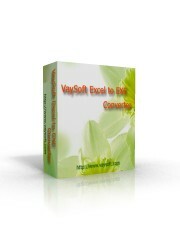 VaySoft Excel to EXE Converter is an application that will help you convert Excel file to protected strongly EXE file. The EXE file can be copied to any computer and will run on Windows 2000, XP, 2003 Server ,Vista, Windows 7, if Microsoft Office Excel installed. VaySoft Video to EXE Converter is an application that will help you convert Video file to self-running EXE file. The EXE file can be copied to any computer and will run without any additional program installed. VaySoft Video to EXE Converter can encrypt the original Video file. It can protect your video from editing, copying or printing. VaySoft Video to EXE Converter has registration feature, only permitted person can view the video. so you can sale your video as a product. 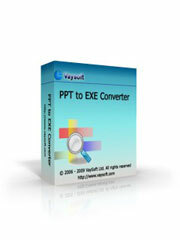 VaySoft PDF to EXE Converter is an application that will help you convert PDF file to self-running EXE file. The EXE file can be copied to any computer and will run if Adobe Reader 8.0 or above installed. 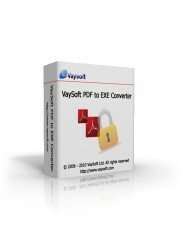 VaySoft PDF to EXE Converter can encrypt the original Video file. It can protect your PDF from editing, copying or printing. 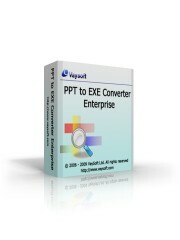 VaySoft PDF to EXE Converter has registration feature, only permitted person can view the PDF. so you can sale your PDF as a product. VaySoft SWF to EXE Converter is an application that will help you convert SWF file to self-running EXE file. The EXE file can be copied to any computer and will run if Adobe Flash OCX installed. VaySoft SWF to EXE Converter can encrypt the original Video file. It can protect your SWF from editing, copying or printing. 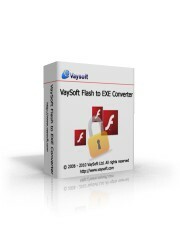 VaySoft SWF to EXE Converter has registration feature, only permitted person can view the Flash SWF. so you can sale your SWF as a product. HTA to EXE Converter is a tool to convert HTA and related files to a self running stand alone exe. HTA to EXE Converter can encrypt the original files. It can protect your HTA and related files from editing, copying or printing. HTA to EXE Converter has registration feature, only permitted person can view the HTA. so you can sale your HTA as a product. VaySoft Image to EXE Converter is an application that will help you convert image files to self-running EXE file. The EXE file can be copied to any computer and run. VaySoft Image to EXE Converter can encrypt the original Video file. It can protect your images from editing, copying or printing. 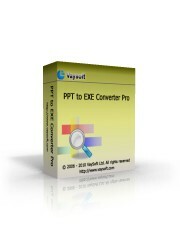 VaySoft Image to EXE Converter has registration feature, only permitted person can view the Images. so you can sale your images as a product. 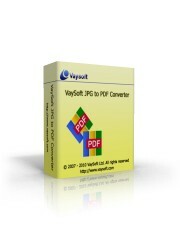 VaySoft JPG to PDF Converter support: JPG to PDF, PNG to PDF, GIF to PDF, BMP to PDF, ICON to PDF, EMF to PDF, WMF to PDF, TIFF to PDF, and all Images to PDF at one time.